Il-Partit Nazzjonalista għaddej minn proċess diffiċli. Irid jipprova jikkonvinċi lilu innifsu u lill-oħrajn li nidem mill-ħsara kbira li għamel lill-ambjent tul il-25 sena (jew kważi) li għamel fil-Gvern. Sal-lum, id-difiża tal-PN dejjem kienet li ħaddieħor għamel (u għadu jagħmel) ħafna agħar minn hekk. Imma dak l-argument (anke jekk għandu mill-verita) ma kkonvinċa lil ħadd. Issa ser jorganizzaw Konvenzjoni “Idea Ambjent” biex jisimgħu ftit. Li tisma’ hu dejjem tajjeb. Hu dejjem pass il-quddiem. Għax dejjem hemm iċ-ċans li titgħallem ftit. Imma inti u tipprova tifhem u titgħallem ikollok bżonn tiftakar ukoll dak li għamilt diġa b’mod partikolari kif dan jikkuntrasta ma dak li qed tgħid illum. Jiena nieħu pjaċir li l-PN qed jgħid li għandu jagħti iktar kaz tal-ambjent għax ifisser li l-ħidma ta’ Alternattiva Demokratika qed tagħti ħafna iktar frott milli jidher mad-daqqa t’għajn. Imma sfortunatament mhux l-ewwel darba li ntqal dan il-kliem. Intqal ħafna drabi oħra biex jimpressjona. Għax mir-retorika l-PN qatt ma kien nieqes. “ ……………. il-Gvern qiegħed jipproponi li jimplimenta programm politiku li jkollu l-iżvilupp sostenibbli bħala l-fus ċentrali li madwaru jdur kollox. L-anqas laħqet nixfet il-linka fuq il-karta tad-diskors mit-tron li l-PN beda proċess biex il-Kummissjoni Nazzjonali għall-Iżvilupp Sostenibbli tispiċċa. Il-Kummissjoni kienet il-fus li fuqu u permezz tiegħu kienet qed tkun implimentata l-iktar parti importanti tal-proċess tal-żvilupp sostenibbli: id-demokratizzazzjoni tiegħu. Il-PN wara li ma ħallihiex tiltaqa’ għal ħames snin sħaħ xolja din il-Kummissjoni. Komplejna pass pass bil-ħsara ambjentali ma tispiċċa qatt, li dwarha ktibt diversi drabi fuq dan il-blogg. Il-PN, jgħidulna, irid jibda paġna ġdida. Għandu kull dritt li jagħmel dan, imma l-paġni l-oħra, irid u ma jridx ser jibqgħu hemm. Kull waħda minnhom tfakkarna u tikkuntrasta mal-fantasiji li qed jipprietka l-PN illum. Għax jekk ninsew il-bieraħ, il-prietki tal-PN tal-lum ikunu qieshom il-prietki ta’ Anġelik f’Borġ in-Nadur: il-ħrejjef ta’ min irid ibella r-ross bil-labra. When push comes to shove it is always the rights of future generations which are ignored and thrown overboard. This is done repeatedly as governments tend to give greater value to the rights of present generations, in the process discounting the rights of the future. It is a recurring theme in all areas of environmental concern. Whether land use planning, water management, resource management, waste management, climate change, biodiversity or air quality, procrastination is the name of the game. With 101 excuses governments postpone to tomorrow decisions which should have been implemented yesterday. Future generations have a right to take their own decisions. It is pretty obvious that they will not be able to take adequate decisions as their options will be severely curtailed as a result of the implementation of present and past decisions. 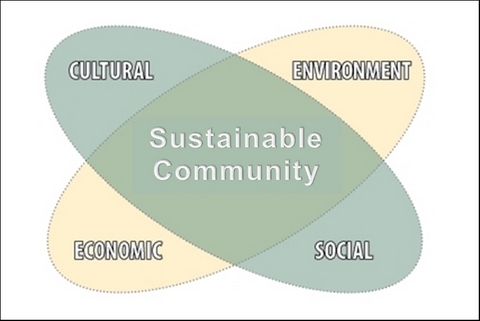 The politics of sustainable development aims to address this deficiency. On a global level it all started in Stockholm in 1972 as a result of the sensitivities of the Nordic countries which set in motion the UN Human Environment Conference. After the publication of the Brundtland Report in 1987, the Rio Summits (1992 and 2012), as well as the Johannesburg Summit (2002), we can speak of charters, international conventions, declarations and strategies all of which plot out in detail as to what is to be done. However as pointed out by UN Secretary General Ban Ki Moon at the UN Rio+20 Summit (2012) in his report entitled “Objectives and Themes of the United Nations Conference on Sustainable Development” institution building has lagged behind. This signifies that the integration of policymaking and its implementation is nowhere on target, Malta not being an exception. The Sustainable Development Annual Report 2013 presented in Parliament by Minister Leo Brincat on the 27 May 2014 indicates that not much progress has been made to date on the matter, notwithstanding the number of meetings as well as the appointment of coordinating officers and focal points in each of the Ministries. Way back in 2008 Malta had a National Sustainable Development Commission which through the inputs of civil society, in coordination with government involvement, had produced a National Sustainable Development Strategy. This was approved by Cabinet at that time but never implemented. So much that to try and justify its inertia the then government tried to divert attention in 2012 by proposing a Sustainable Development Act. This essentially transferred (with changes) some of the proposed structures and institutions identified in the National Sustainable Development Strategy to the legislation and used the process as a justification for not doing anything except talk and talk. The changes piloted through Parliament by then Environment Minister Mario de Marco included the effective dissolution of the National Commission for Sustainable Development (which had been dormant for 5 years). The justification which the responsible Permanent Secretary uttered as an excuse was that the Commission was too large and hence of no practical use. It has to be borne in mind that sustainable development is also an exercise in practical democracy whereby policy is formed through capillarity, rising from the roots of society, and not through filtration by dripping from the top downwards. For sustainable development to take root the strategy leading to sustainability must be owned by civil society which must be in the driving seat of the process. This was not manifested in the government’s actions throughout its 5 year term. 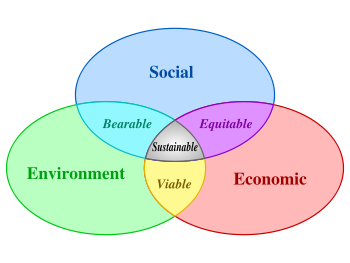 Not just in its approach to sustainable development but also in its dealing with the individual issues of environmental concern: be it land use planning, water management, resource management, waste management, climate change, biodiversity or air quality.The politics of sustainable development is an uphill struggle. It signifies a long term view in decision making, that is, considering carefully the impacts of today’s decisions on tomorrow. It requires much more than chatter. As the report tabled by Minister Leo Brincat states in its conclusion, we are in for more chatter as the emphasis in the coming year seems to be the revision of a strategy which has never been implemented. The strategy is worded in such general terms that it is difficult to understand what this means, except that there is no practical interest in getting things done. It would have been much better if some effort was invested in the Action Plans which the different Ministries have to draw up in order to implement the strategy in the various departments/authorities under their political responsibility. This, it seems, is unfortunately the Maltese long term view. ILLUM : nuqqas ta’ spazju ? Fil-gazzetta Illum, ippubblikata illum il-Ħadd 12 ta’ Mejju 2013 ippubblikat kummenti għal mistoqsijiet li staqsiet lil diversi persuni dwar Joseph Muscat u Simon Busuttil. Kif tħares lejn l-ewwel 50 jum ta’ Joseph Muscat? X’taħseb fuq l-għażla ta’ Simon Busuttil? Jiena ġejt mitlub il-kummenti tiegħi li tajthom imma ma ġewx ippubblikati kif ippreżentajthom jiena. Ma nafx jekk hux minħabba nuqqas ta’ spazju. “Huwa biss iż-żmien li jagħtina parir dwar jekk l-elezzjoni ta’ Dr Simon Busuttil bħala Kap tal-PN iġibx bidla, kif ukoll x’tip ta’ bidla, fil-PN. Il-bidliet fil-PN għadhom għaddejjin u mhux magħruf x’ser tkun il-forma finali tagħhom. Fl-ewwel ħamsin jum il-Gvern ta’ Muscat għadu qiegħed jipprova jaġixxi ta’ Gvern, diversi drabi aġixxa ta’ partit politiku. F’ ta’ l-inqas erba’ sitwazzjonijiet aġixxa b’mod diviżiv meta kellu soluzzjonijiet alternattivi li long term kienu jagħtuh riżultati aħjar. L-ewwel: il-grad ta’ Segretarju Permanenti fil-Ministeri jeżisti biex jassigura kontinwita’ b’mod partikolari meta jkun hemm bidla tal-Gvern. It-tneħħija tal-parti l-kbira tas-Segretarji Permanenti kien żball fl-ewwel ġranet tal-Gvern li seta ġie evitat. Il-parti l-kbira minnhom kienu ser jispiċċaw xorta matul it-18-il xahar li ġejjin, bl-eta. Li stenna ftit kienu jinbidlu xorta bil-kwiet probabilment fi żmien sena. It-tieni : id-diskors li l-Gvern ħejja għall-President tar-Repubblika kien wieħed partiġġjan u ma għamel l-ebda ġid lill-kariga. It-tielet: inevitabilment f’dawn il-ħamsin ġurnata saru ħafna ħatriet. Kien hemm diversi minnhom li kienu ta’ natura partiġjana, fl-istess stil tal-gvernijiet immexxija mill-PN. Ir-raba’: il-ħatra ta’ Franco Debono bħala koordinatur tal-Konvenzjoni Kostituzzjonali kienet waħda diviżiva. Tali ħatra kella issir b’konsultazzjoni mas-socjeta ċivili. Fost il-miżuri posittivi tal-Gvern hemm il-bidu tal-implementazzjoni tal-proposti elettorali dwar id-drittijiet tal-persuni LGBT kif ukoll il-ftehim dwar il-kawża fil-Qorti Ewropea tad-Drittijiet tal-Bniedem minn Joanne Cassar liema ftehim ser iwassal għat-dritt ta’ persuna transgender li tiżżewweġ. AD giet mistiedna u aċċettat li tipparteċipa fil-Kumitat Konsultattiv li qed iħejji l-proposti konkreti għad-drittijiet tal-persuni LGBT. Ġew nominati u diġa qed jieħdu sehem Angele Deguara u Collette Farrugia Bennett biex jirrapprezentaw lill-AD. Fost il-miżuri negattivi hemm l-inkoraġġiment tal-kaċċa fir-rebbiegħa u issa jidher li l-Gvern qed jikkunsidra li jesperimenta ukoll bl-insib minkejja li din hu pprojibit mid-Direttivi tal-Unjoni Ewropea kif ukoll skada il-perjodu transitorju stabilit mit-trattat ta’ adezjoni. Far ahead in arrogance ………………..
His Excellency was obviously reading out the script which others have written. He symbolically heads the government and hence he reads out the programme of “his government”. The problem with the President’s speech is that we have heard it many a time. Maybe in less colourful language, but surely it has been listened to before. Obviously the proof of the pudding is in the eating. We still need proof that shortly we will start lagging behind in arrogance, and maybe for a change being leaders in something positive! 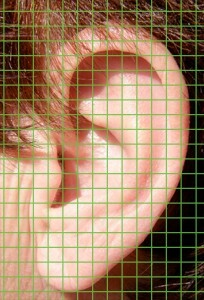 I await some positive signal, which I have not yet noticed. Malta needs a sustainable water policy that is implemented rather than just being talked about. A sustainable water policy has a long-term view. Addressing today’s needs, it keeps in focus the requirements of future generations. It would protect all our sources of water while ensuring that this basic resource is valued as an essential prerequisite for life. Without water, life does not exist. With poor quality water or with depleted water resources we are faced with an inferior quality of life. Measures to protect the water table are being implemented at a snail’s pace and risk being in place only when there is nothing left to protect. The number of metered boreholes is too little. The electronic tracking of water bowsers transporting ground water is stalled. Alternattiva Demokratika considers that national institutions have been ineffective as the handling of groundwater is still a free for all. Rainwater harvesting has been neglected for a long time. Building development, large and small, has ignored rainwater harvesting obligations. These obligations have been in place on a national level for over 130 years. However, they are more honoured in the breach. Many residential units constructed in the past 40 years have no water cisterns. Consequently, rainwater is discharged onto our streets or directly into the public sewers. Flooding of streets and overflowing sewers are the result. The Government has decided to tackle this by applying public funds to a problem created mostly by private developers. Through the storm water relief projects funded primarily by the European Union, the Government will, in effect, exempt the culprits. Instead of the polluter pays it will be the (European) taxpayers who will pay, thereby exempting the polluter from his responsibilities! The developers have pocketed the profits while the taxpayer will foot the bill. This is the result of successive governments lacking the political will to penalise the culprits. In addition, rainwater discharged into the public sewer is overloading the three sewage purification plants now in operation and, consequently, increasing their operating costs during the rainy season. These increased costs are shouldered by all of us, partly as an integral part of our water bills and the rest gobbling up state subsidies to the Water Services Corporation. This is due to the fact that water bills are a reflection of the operating costs of the WSC, which include the management of the public sewer and its contents! Storm water plays havoc with residential areas, especially those constructed in low lying areas or valleys carved by nature for its own use and taken over by development throughout the years! Overdevelopment means that land through which the water table recharged naturally was reduced considerably throughout the past 40 years. Instead, storm water now gushes through areas with heavy concentrations of nitrates which end up charging the aquifer. A report by the British Geological Society has identified a 40-year cycle as a result of which it would take about 40 years of adherence to the EU Nitrates Directive to give back a clean bill of health to Malta’s water table. Treated sewage effluent is being discharged into the sea. Being treated means that, for the first time in many years, our bathing waters are up to standard. But it also means that we are discharging into the sea millions of litres of treated sewage effluent that, with proper planning, could have been used as an additional water source for a multitude of uses. Instead, it is being discarded as waste. After the sewage treatment plants were commissioned as an end-of-pipe solution at the far ends of the public sewer, the authorities started having second thoughts on the possible uses of treated sewage effluent. At this late stage, however, this signifies that means of transporting the treated sewage to the point of use have to be identified (at a substantial cost) when the issue could have been solved at the drawing board by siting a number of small treatment plants at points of use. This could obviously not be done as the Government has no idea of what sustainable development is about. The Government led by Lawrence Gonzi excels in speaking on sustainable development, yet, he has failed miserably in embedding it in his Government’s method of operation. In water policy, the Nationalist-led Government has failed miserably. The mess that it leaves behind is clear proof that during the past 25 years it has taken decisions that have completely ignored tomorrow’s generations. Nhar l-Erbgħa fil-għaxija bdew id-diskussjoni fil-Parlament dwar l-iżvilupp sostenibbli. Smajt lil Mario de Marco jitkellem madwar siegħa u nofs. Leo Brincat tkellem siegħa u kien għadu ma spiċċax. Mario mexa ma text ippreparat. Għal ħinijiet twal qara diskors miktub. Xi drabi tfixkel ftit huwa u jitkellem dwar materji li għadu m’huwiex familjari magħhom biżżejjed. Leo ukoll ipprepara u kien iktar ċar f’dak li kellu xi jgħid. Mario irrefera għal konsultazzjonjijiet wiesgħa li għamel. Ħaġa tajba. Avvanz fuq ta’ qablu li mhux biss kien selvaġġ talli fuq kollox kien inkompetenti. Jiena ukoll kelli laqgħa twila ma Mario dwar l-abbozz ta’ liġi. L-ewwel reazzjoni tiegħi kienet li m’hemmx bżonn li jressaq liġi. Dak li ried jagħmel : li jibni fuq pedamenti sodi l-infrastruttra amministrattiva għall-iżvilupp sostenibbli seta jsir b’mod faċli u inqas ikkumplikat mingħajr il-ħtieġa ta’ liġi. Imma din, Mario u dawk ta’ madwaru ma jistgħux jifhmuha. Huwa u jitkellem Mario ftaħar li ftit hemm pajjiżi bħalna li għandhom liġi dwar l-iżvilupp sostenibbli. Ma nafx jekk irrealizzax li l-fatt li ftit li xejn hemm pajjiżi b’din it-tip ta’ liġi ifissirx li ħadd ma ħass il-ħtieġa tagħha! Il-parti l-kbira tal-proposti fil-liġi diġa jeżistu fl-istrateġija nazzjonali dwar l-iżvilupp sostenibbli. Li qed jagħmel il-Gvern hu li qiegħed jittrasferihom mill-istrateġija għall-liġi. Dan m’hu xejn ħlief logħob. Imma l-anqas dan il-logħob ma jiġġustifika l-fatt li l-Gvern żamm il-Kummissjoni Nazzjonali dwar l-Iżvilupp Sostenibbli milli tiffunzjona għal snin twal. U dan hu l-Gvern li fid-diskors programmatiku tal-President tar-Repubblika f’Mejju 2008 qalilna illi li ser jagħti importanza kbira lill-iżvilupp sostenibbli. Għall paroli veru jieħu l-ewwel. Imma bejn il-kliem u l-fatti ………. hemm il-baħar jikkumbatti! 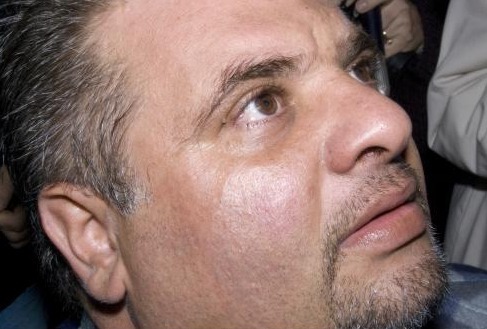 Mario de Marco irrefera għad-diskussjoni li kellna jiena u hu dwar l-abbozz. Jiena dejjem insistejt li Gvern li jagħmel proposti fuq livell internazzjonali b’ċerta pompa għandu jkollu l-konvinzjoni li dak li jippretendi mill-komunita’ internazzjonali jkun lest li jimplimentah f’Malta stess. Għalhekk ipproponejt il-ħolqien tal-kariga ta’ Gwardjan għall-Ġenerazzjonijiet Futuri. Proposta li Mario de Marco għan-nom tal-Gvern aċċetta u inkludiha bil-mod kif ħaseb hu fil-liġi. Leo Brincat fil-kritika tiegħu, li ser ikompli nhar it-Tnejn, tefa’ botta dwar jekk il-Gvern huwiex qiegħed jagħti l-impressjoni li qed jagħti każ dak li tgħid Alternattiva Demokratika biex forsi jnaqqas mill-kritika indirizzata lejh minn AD! Leo m’għandix dubju li kien qed jiġbed is-saqajn. Għax jaf li l-kritika ta’ AD m’hiex ser tieqaf. La lejn il-Gvern u l-anqas lejn l-Opposizzjoni li flimkien huma responsabbli għall-istat li jinsab fih il-pajjiz. Dwar dan kollu ktibt u tkelllimt fit-tul matul dawn l-aħħar snin. Li l-Gvern ta’ Lawrence Gonzi m’huwiex kapaċi. Ma jridx jimxi fit-triq li twassal lejn is-sostenibilita’. Kieku kien jinteressah kien jimxi mod ieħor fl-oqsma kollha. Wara kollox mhux Gonzi innifsu talabna biex ma niġġudikawħx fuq dak li jgħid iżda fuq dak li jagħmel? U hekk qed nagħmlu. Niġġudikawħ fuq il-ħerba ambjentali li ser iħalli warajh. Il-futur tagħna u ta’ uliedna jixraqlu xi ħaġa aħjar. Li la Gonzi u l-anqas Muscat ma jistgħu joffru. Għalhekk qegħdin fil-politika aħna ta’ Alternattiva Demokratika. The politics of sustainable development links present and future generations. The 1987 report of the United Nations Commission on Environment and Development (the Brundtland report) emphasised that development is sustainable if the choices we make today do not restrict tomorrow’s generations from making their own independent choices. Future generations, to date, have no political or financial power and cannot challenge decisions taken by present generations. They have no voice. They are not represented at the negotiating table where present-day decisions are made. Politics is dominated by the requirement to satisfy today’s wants, irrespective of the costs, as witnessed by spiralling financial, environmental and social deficits. During the preparatory meetings for the Rio 1992 earth summit, delegations discussed the impacts of development on various vulnerable groups. In a four-page document (A/CONF.151/PC/WG./L.8/Rev.1/Add.2), dated February 21, 1992, Malta submitted a proposal to the working group of the preparatory committee of the UN Rio conference, which met in New York in early March 1992. After underlining the international community’s recognition of the rights of future generations as another vulnerable group, the Maltese government rightly emphasised that it is not sufficient to simply recognise the principle of future generation rights. Malta’s proposal was presented by the Foreign Ministry led by Guido de Marco. The proposal had been developed by the International Environment Institute of the University of Malta within the framework of its Future Generations Programme led by Fr Emanuel Agius. Malta’s proposal was not taken up in the Rio declaration on the environment. Do we need a guardian of future generations in Malta? I believe that we do and I think that the issue should be addressed when Parliament discusses legislation on sustainable development shortly. The reasons justifying the domestic implementation of Malta’s 1992 proposal to the UN Rio preparatory committee are crystallised in paragraph 7 of Malta’s proposal that focuses on responsibility and foresight. Malta emphasised that present generations are in duty bound to foresee possible risks and uncertainties that present economic, political and technological policies have on future generations. Responsibility, stated Malta in 1992, demands foresight. Hence, one should anticipate effective measures to, at least, prevent foreseeable risks and uncertainties. The guardian of future generations would be the voice of those still unborn to defend their right to make their own choices, independently of the choices of present and past generations. S/he would be the conscience of present generations nudging them towards behaviour and decisions that are compatible with their responsibilities. In particular, s/he would be in a position to speak up on behalf of future generations when current or contemplated policies give rise to long-term risks that are not adequately addressed. S/he would emphasise that it is unethical for present generations to reap benefits and then shift the consequence of their actions on future generations. Future generations need a voice to be able to communicate their concerns. The appointment of a guardian to protect their interests would be such a voice. Such an appointment would also be implementing the President’s declaration during the inaugural session of the present Parliament on May 10, 2008 when he emphasised that the government’s plans and actions are to be underpinned by the notion of sustainable development. He had further stated that “when making decisions today, serious consideration will be given to the generations of tomorrow”. Hungary has already given the lead. In 2007, the Hungarian Parliament appointed Sándor Fülöp as Parliamentary Commissioner for Future Generations. Among other things, he is entrusted to act as a policy advocate for sustainability issues across all relevant fields of legislation and public policy. International NGOs, such as the World Future Council, have actively brought up the issue of future generations requiring a present-day voice during the second preparatory committee of the UN Rio+20 sustainability conference held in March this year in New York. The Maltese Greens consider that it is time for the government to accept that the principled action it took on an international level in 1992 is equally applicable on a national level. Malta too has the responsibility of foresight. It has the responsibility to ensure that the future can speak up such that we can listen and consider the impacts of our actions. The time is ripe to act. We owe an ear to future generations. They deserve it. 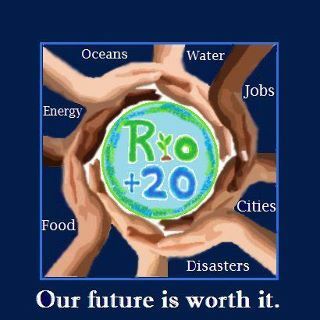 The year 2012 marks the 20th anniversary of the Rio Earth Summit held in June 1992. The Rio Earth Summit itself was held on the 20th anniversary of the 1972 UN Stockholm Conference on the Human Environment, which is credited with introducing the environment in the contemporary political lexicon. In fact, it was as a result of the Stockholm conference that various countries started appointing an environment minister. In 1976, in Malta, Dom Mintoff appointed Vincent Moran as Minister for Health and the Environment. The emphasis at that stage was environmental health. His primary environmental responsibilities being street cleaning, refuse collection and the management of landfills in addition to minor responsibilities on air quality. The serious stuff came later when Daniel Micallef was appointed Minister for Education and the Environment in 1986. In 1992, the international community met in Rio de Janeiro to discuss the conflicts between development and the environment. This was brought to the fore by the 1987 UN report of the World Commission on Environment and Development, headed by former Norwegian Prime Minister Gro Harlem Brundtland. The report, entitled Our Common Future, referred to as the Brundtland report, is generally remembered for its definition of sustainable development. Development was defined as sustainable if, in ensuring that the needs of present generations are met, it did not compromise the ability of future generations to meet their own needs. The 1992 Rio Earth Summit produced the Rio Declaration on the Environment, the Framework Convention on Climate Change, the Framework Convention on Biodiversity, the Statement of Forest Principles and Agenda 21. Each one of these assumed a life of its own, addressing various issues. I think it is essential to focus on the relevance of Agenda 21, which was, way back in 1992, drafted to serve as a global action plan for the 21st century. Agenda 21 emphasises that sustainable development is not spearheaded by economics. It does not seek to balance profits with other considerations. Based on respect for people and the planet in the carrying out of our activities, it links the environment with social and economic policy. It is indeed regrettable that some countries, Malta included, loudly proclaim adherence to the objectives of Rio 1992 yet fail miserably in translating them into the requirements of everyday life. It is necessary to reiterate that Malta, through its present government, has paid lip service to issues of sustainable development. The Environment Protection Act of 2001, now in the process of being superseded, had established a National Commission for Sustainable Development headed by the Prime Minister. This was tasked with the preparation of a National Strategy for Sustainable Development, which was finalised and approved by the commission in December 2006. It was presented to Cabinet, which approved it in the weeks prior to the March 2008 election. Soon after the 2008 election, during Parliament’s first session on May 10, 2008, Malta’s President proclaimed on behalf of the government that its policies will be underpinned by adherence to the principles of sustainable development. We were then told that when formulating decisions today serious consideration would be given to their impact on the generations of tomorrow. I doubt whether there was ever any intention to implement such a declaration. I am informed that the National Commission for Sustainable Development, which, in terms of the Environment Protection Act, is still entrusted with the implementation of the National Sustainable Development Strategy, has not met since December 2006. Consequently, the procedures laid down in section 5 of the strategy as a result of which the different ministries had 18 months to prepare and commence the implementation of an action plan based on the strategy in their areas of competence were transformed into a dead letter. The government has now gone one step further. It is formulating a National Environment Policy. This initiative has been undertaken by the same ministry responsible for issues of sustainable development – the Office of the Prime Minister. From what is known on the contents of this policy it substantially duplicates the areas addressed by the National Sustainability Strategy. Consequently, it is discharging down the drains four years of discussions with civil society that had given the strategy its shape and content. It is clear that on the issue of sustainable development this government is very rich in rhetoric but when it comes to implementation it gets cold feet. It’s all talk, meetings, documents and consultations. And when a document is finally produced it is back to the drawing board to start the process for another one! This is lip service at its worst. While the international community meeting in Rio in 2012 will take stock of its modest achievements in implementing the conclusions of Rio 1992 and its follow-up meetings, including those of Johannesburg in 2002, in Malta we are still awaiting a lethargic government to take the first steps. 2011, July 23 Living on Ecological Credit. 2011, June 5 Government’s Environment Policy is Beyond Repair. 2011, March 5 Small is Beautiful in Water Policy. 2011, January 22 Beyond the Rhetorical declarations. 2010, October 23 Time to realign actions with words. 2010, October 17 Reflections on an Environment Policy. 2010, October 3 AD on Government’s Environment policy. 2010, September 17 Lejn Politika tal-Ambjent. 2010, September 4 Environment Policy and the Budget. 2010, August 14 Thoughts for an Environmet Policy. 2010, August 2 Bis-serjeta ? Il-Politika Nazzjonali dwar l-Ambjent. In Roman mythology the god Janus was depicted as having a head with two faces. One looking eastwards and the other westwards. One symbolically looking into the future and the other into the past. Unfortunately it is not Janus who overlooks the entrance to the Ministry for the Environment in Valletta. 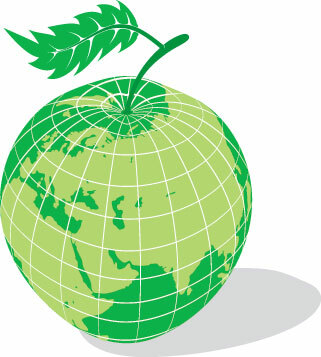 Janus could symbolically motivate environmental policy through learning through past mistakes and applying the lessons learnt into the future. Janus could however symbolise the two political faces of government. One compatible with its declarations and rhetoric. The other with its actions. “The government’s plans and actions are to be underpinned by the notion of sustainable development of the economy, of society and of the environment. When making decisions today, serious consideration will be given to the generations of tomorrow. 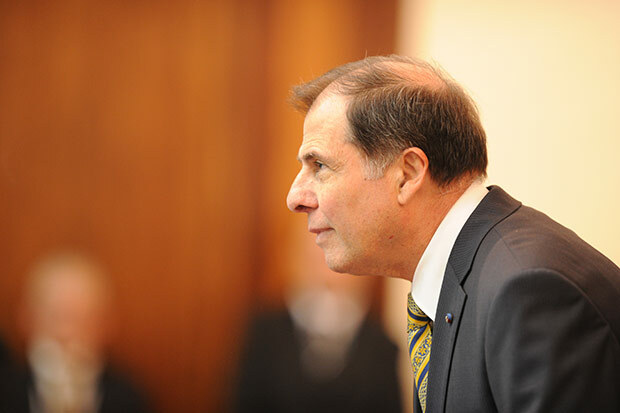 The member of Cabinet responsible for issues of sustainable development is the Prime Minister Lawrence Gonzi. Dr Gonzi’s commitment towards sustainable development is not to be gauged by his rhetoric but through his actions. He excels in rhetoric but he fails miserably in implementation. The Commission for Sustainable Development set up in terms of the Environment Protection Act has not met for almost five years, since December 2006. Its Chairman is Dr Gonzi. During its last meeting it had approved the final version of the National Sustainable Development Strategy, which it then submitted to Cabinet for approval. The main function of the commission now is to oversee the implementation of the Sustainable Development Strategy for the Maltese Islands, approved by Cabinet prior to the March 2008 election and having a 10-year lifespan (2007-2016). The strategy is half way past its lifespan and the process for its implementation is nowhere in sight. This fact on its own speaks volumes as to government’s strategy. The National Sustainable Development Strategy was drafted after years of discussions with civil society. The Commission which in terms of the Environment Protection Act had to be chaired by the Prime Minister hardly ever met in the presence of Dr Gonzi. He delegated his responsibilities to others. When the National Sustainable Development Strategy was finalised government ignored it and commenced the formulation of another document dealing with a National Environment Policy. The information available to date about this National Environment Policy is substantially a duplication of what’s been said and written on the Sustainable Development strategy. All this leads to one conclusion. The current government is primarily interested in talking about sustainable development and environmental issues. But when the time comes for implementation it goes back to square one. More talk and more documents. Well it seems that the Minster for the Environment, Dr Lawrence Gonzi, needs some images of Janus at his office. It would remind him constantly that in the long run having two faces on the same head is only suited to mythology.